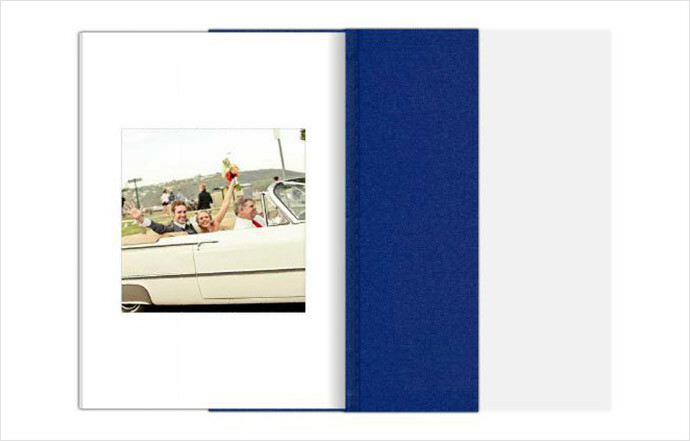 Whether you view your album next year or 20 years from today, it should feel timeless. 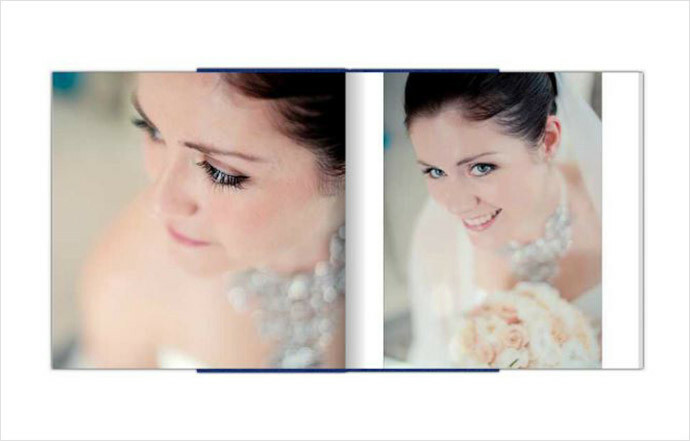 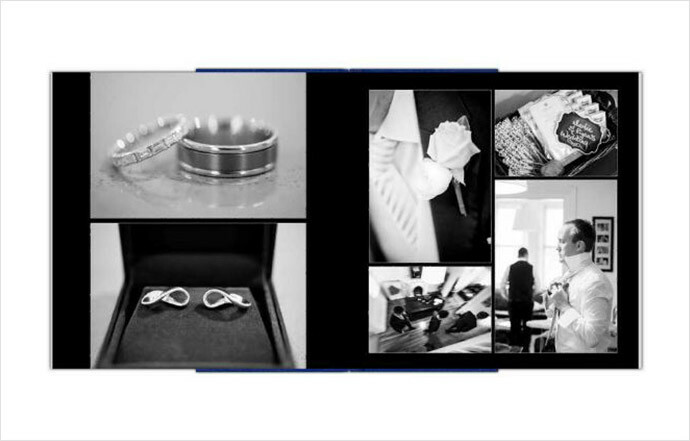 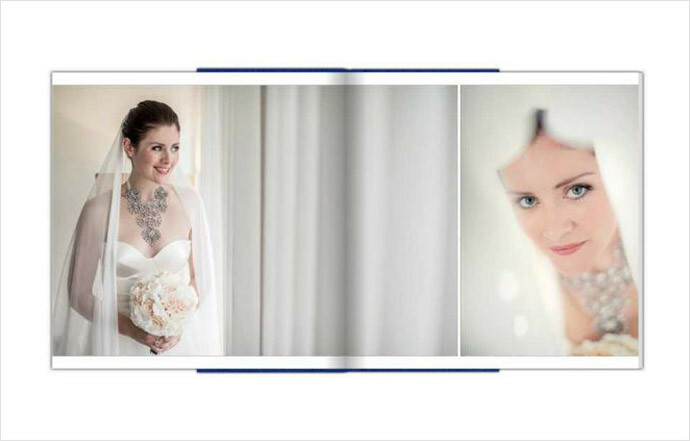 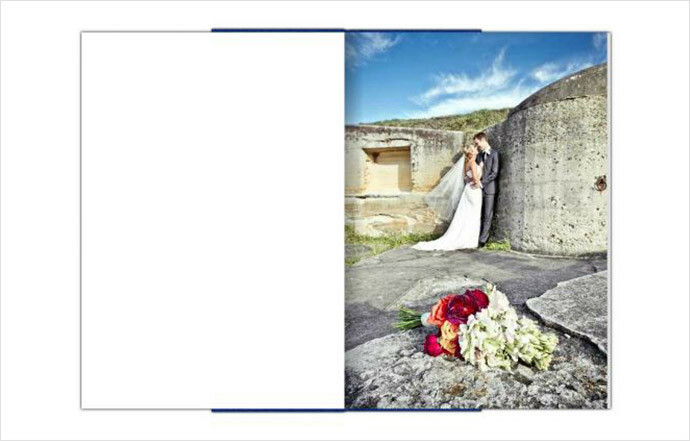 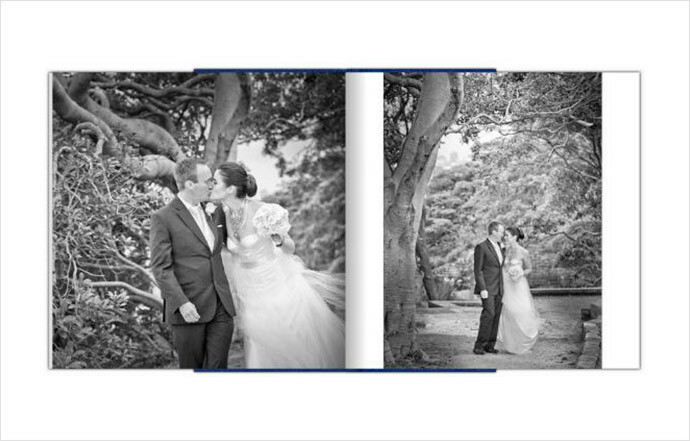 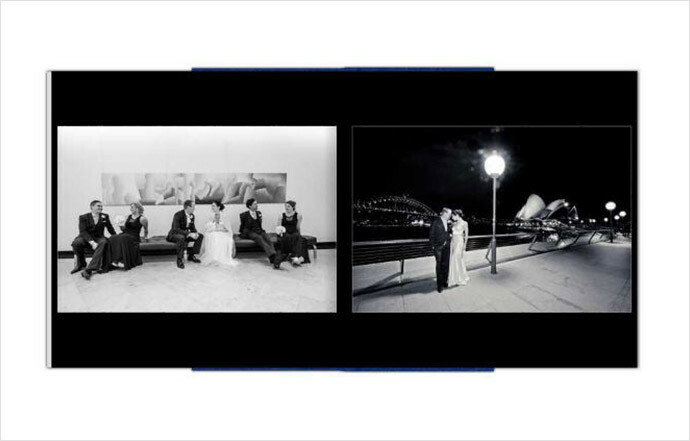 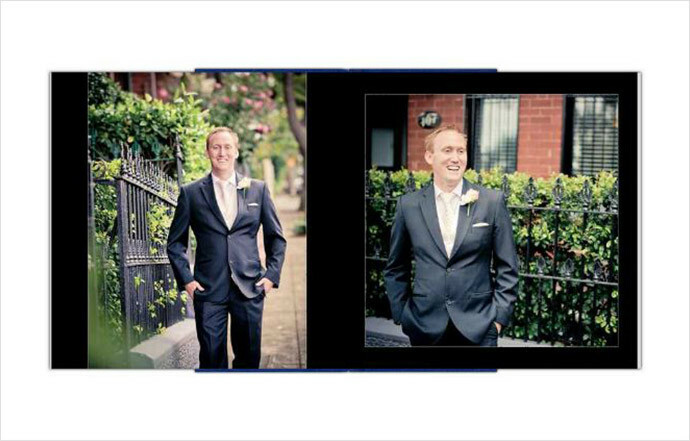 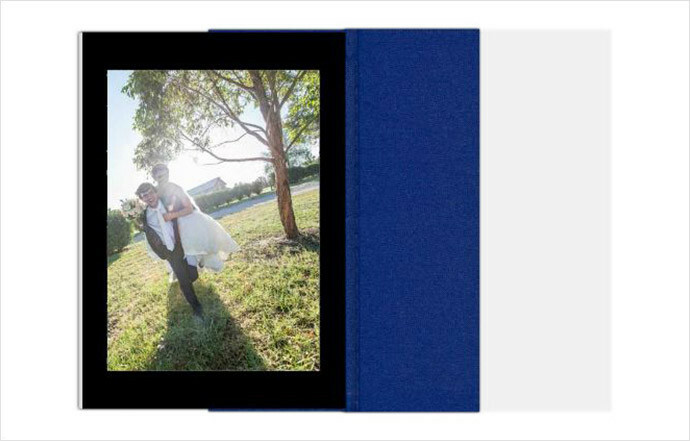 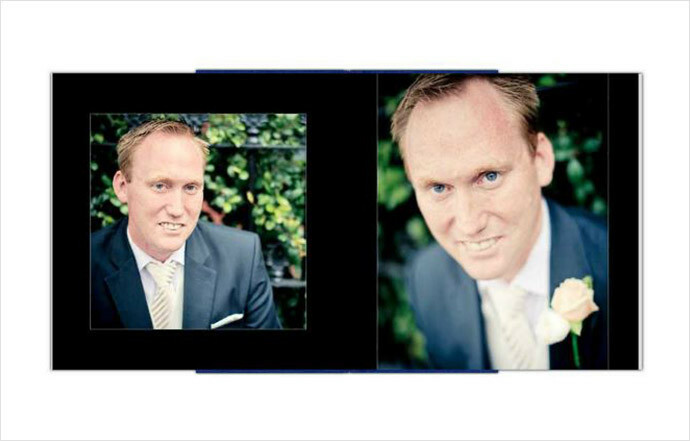 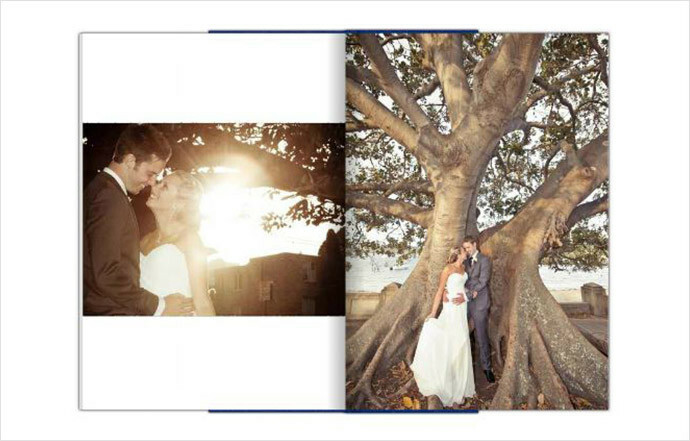 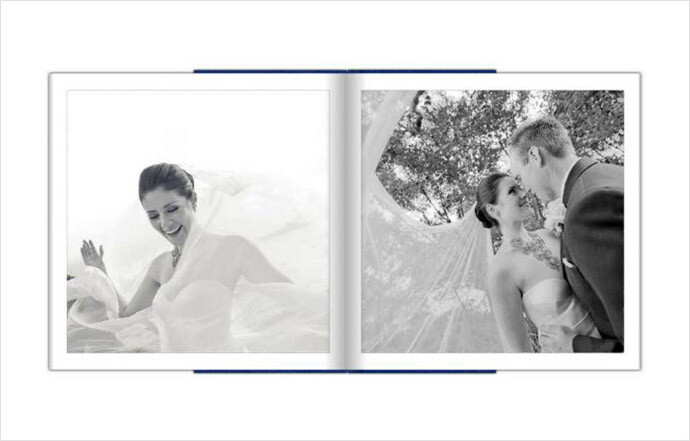 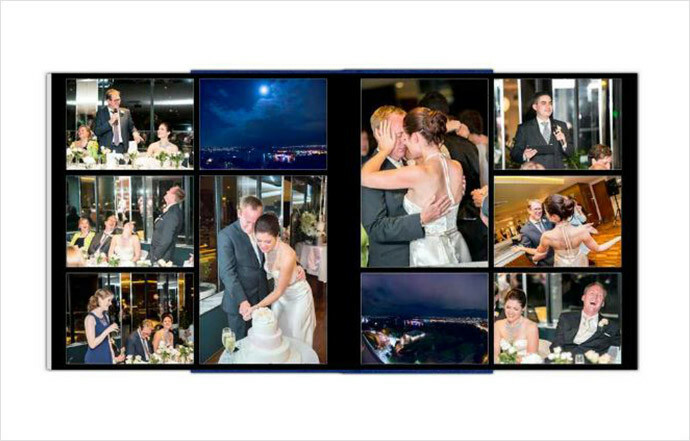 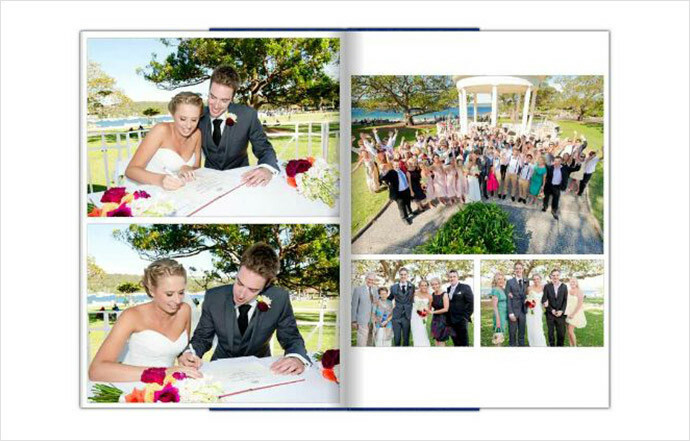 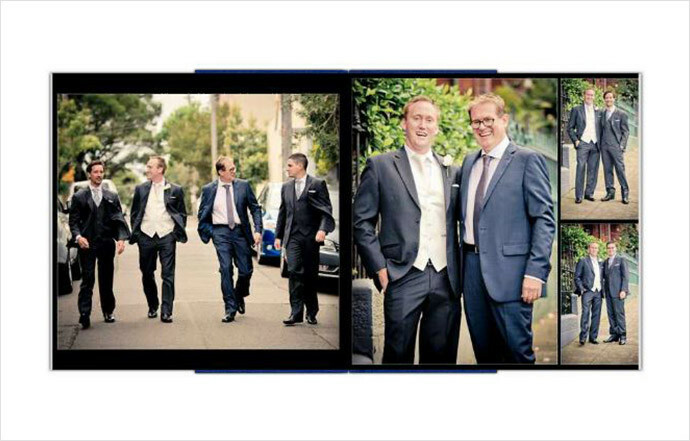 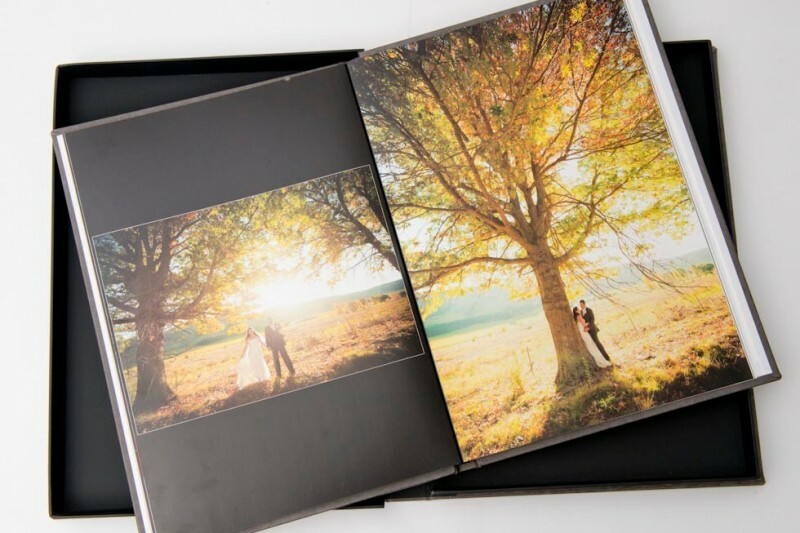 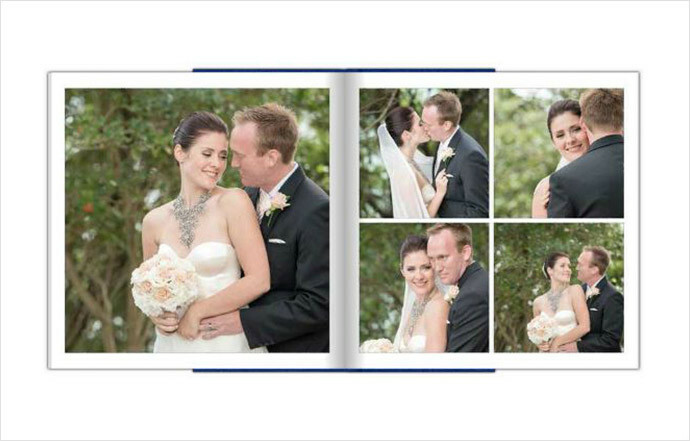 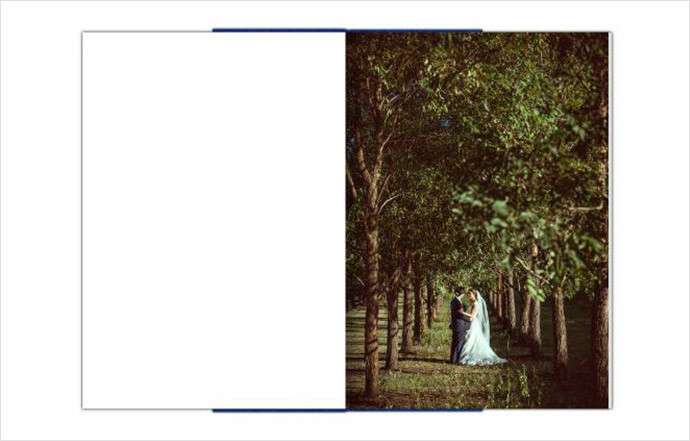 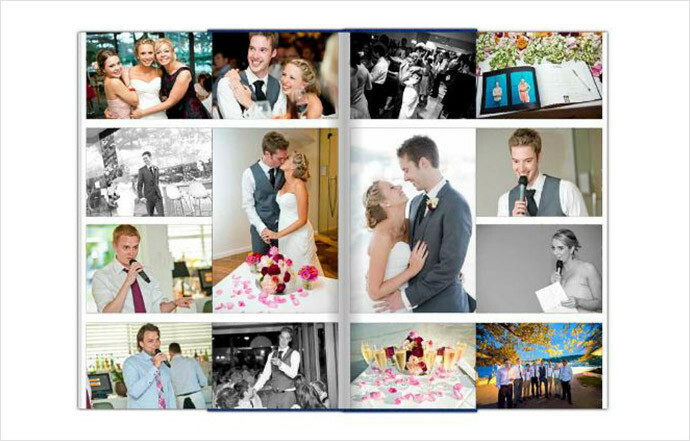 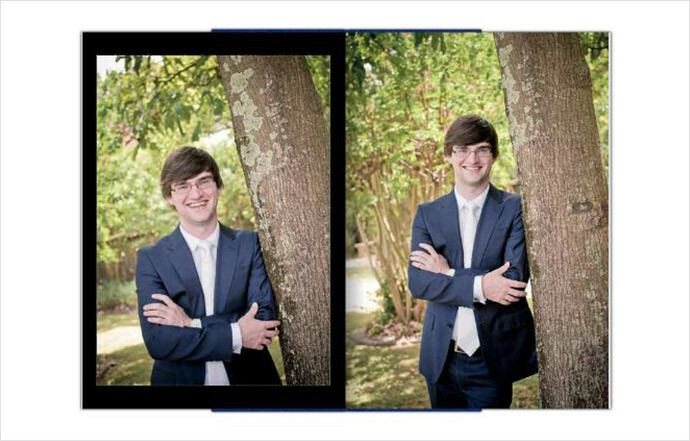 The fabrics, photo effects and the graphical layout of our wedding albums is classic so it won’t date over time. 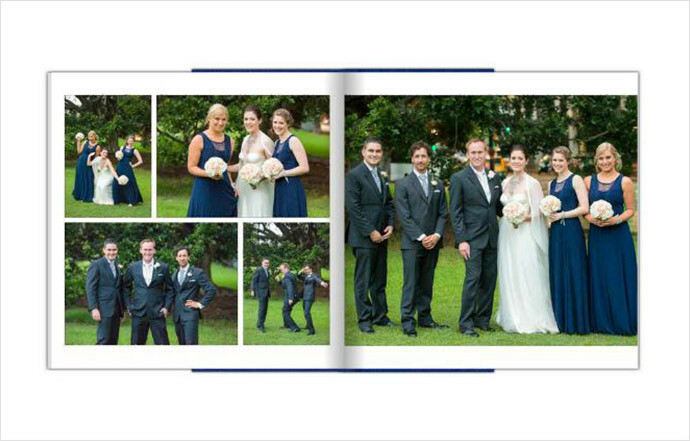 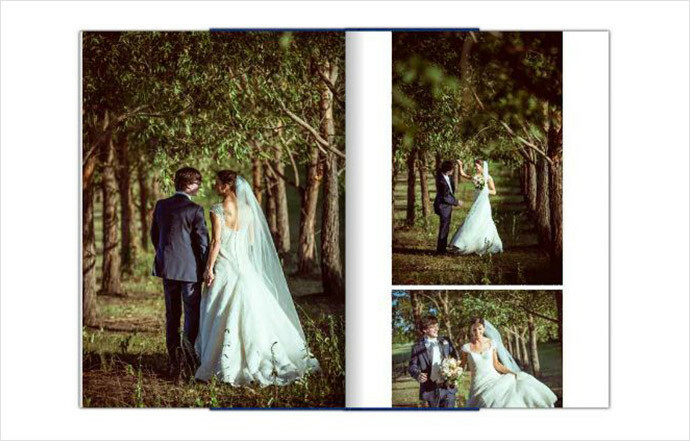 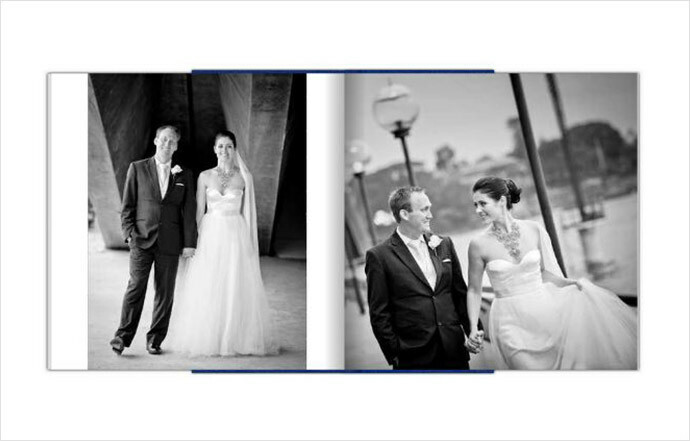 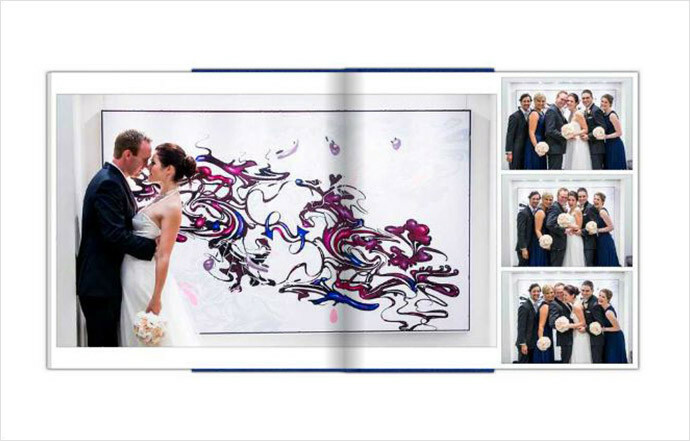 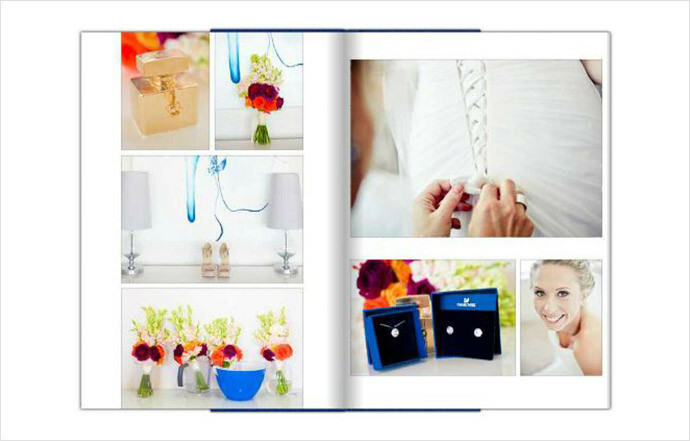 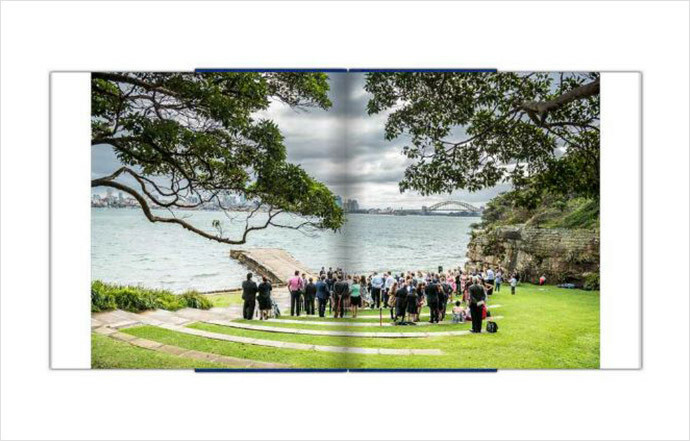 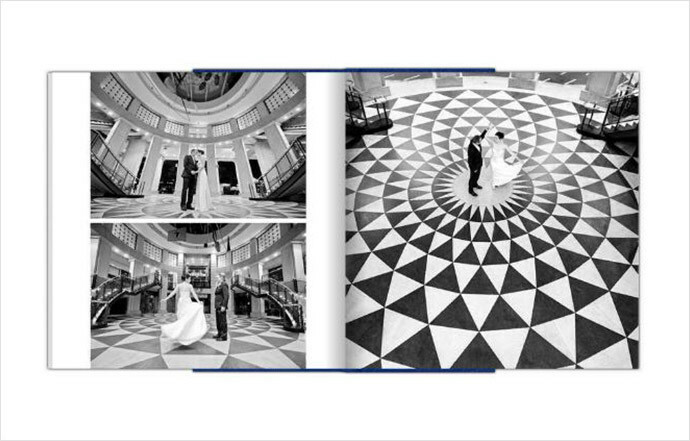 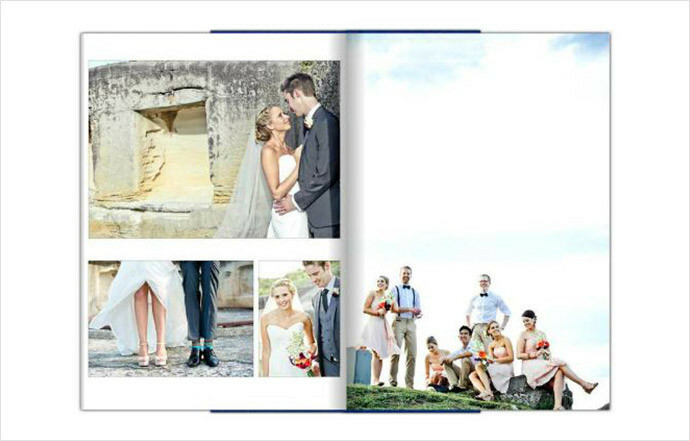 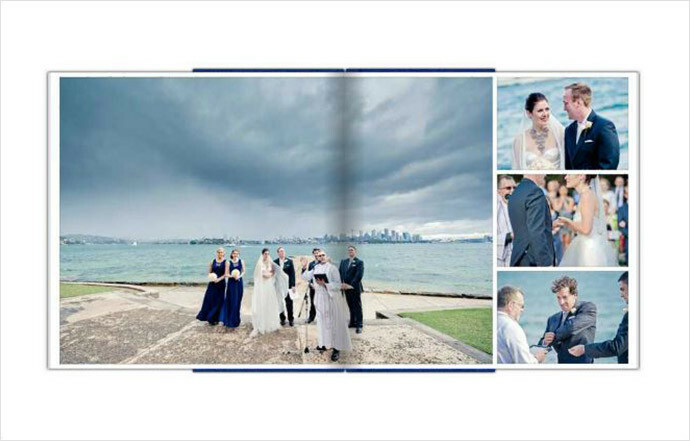 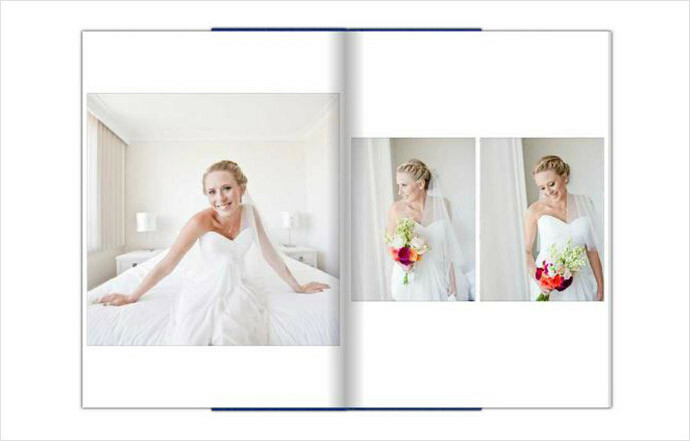 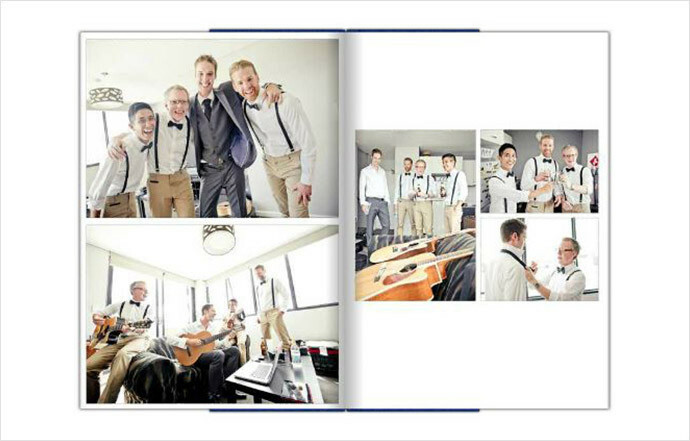 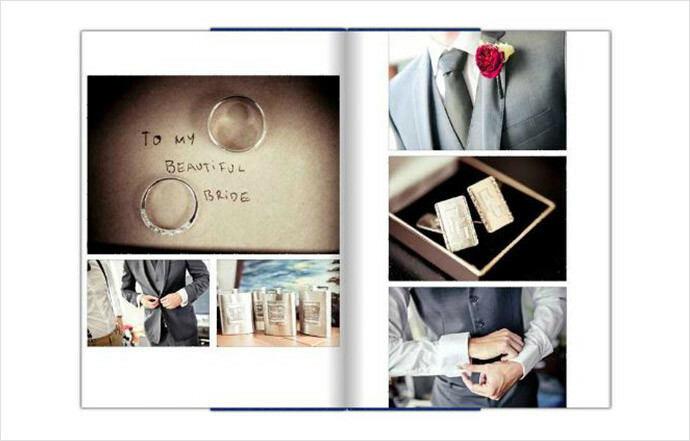 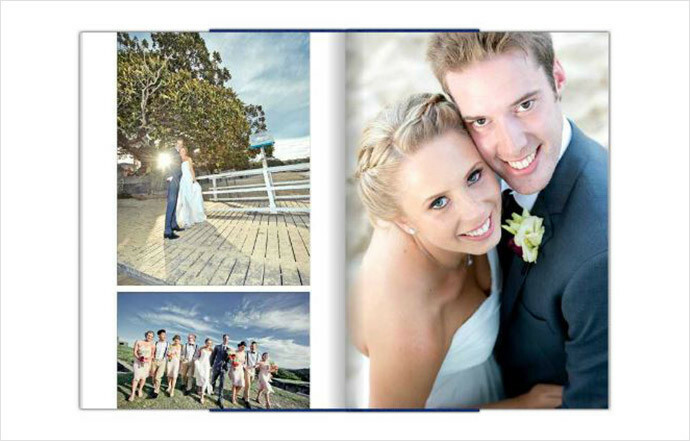 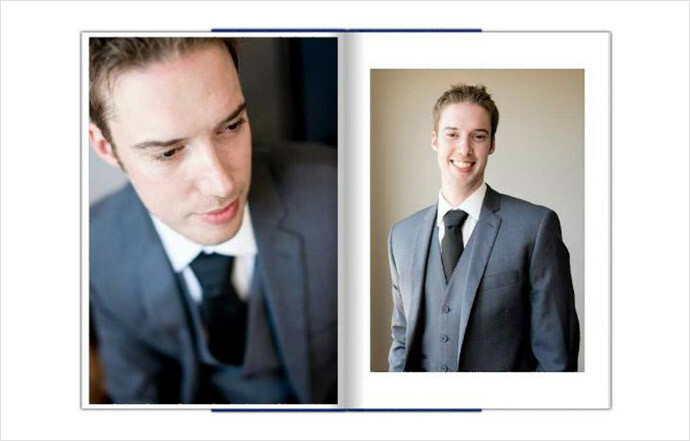 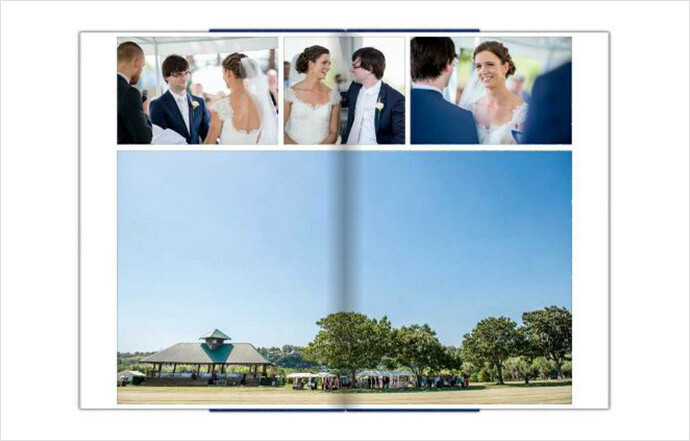 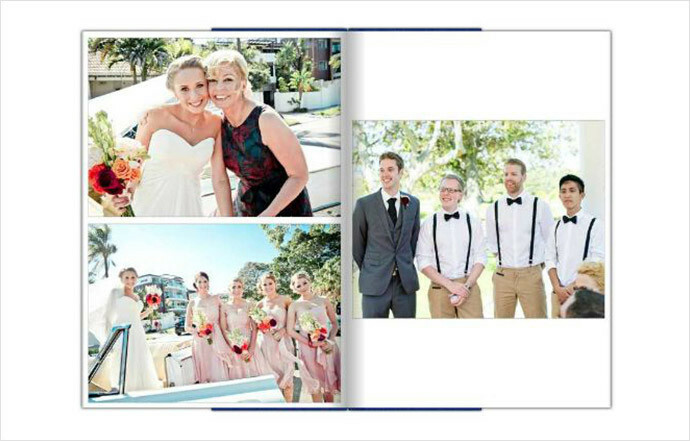 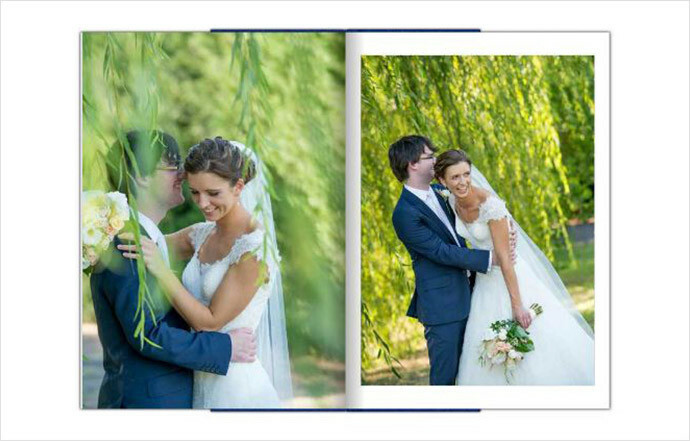 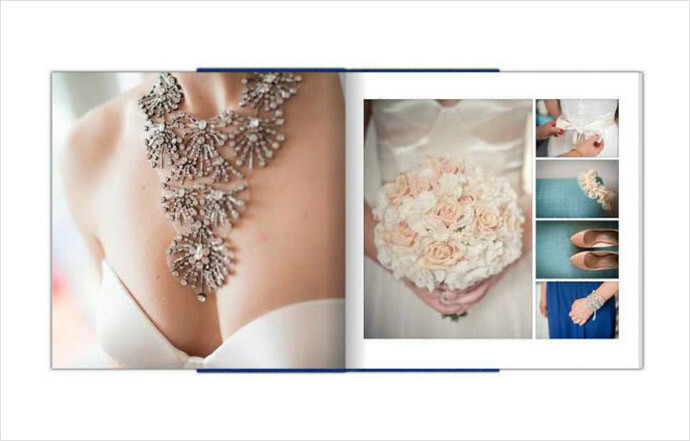 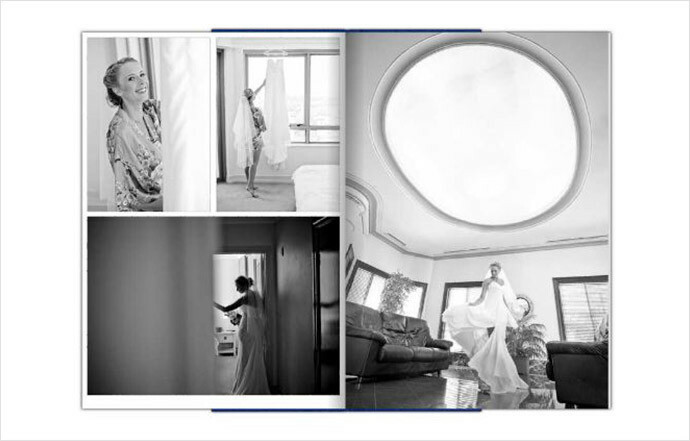 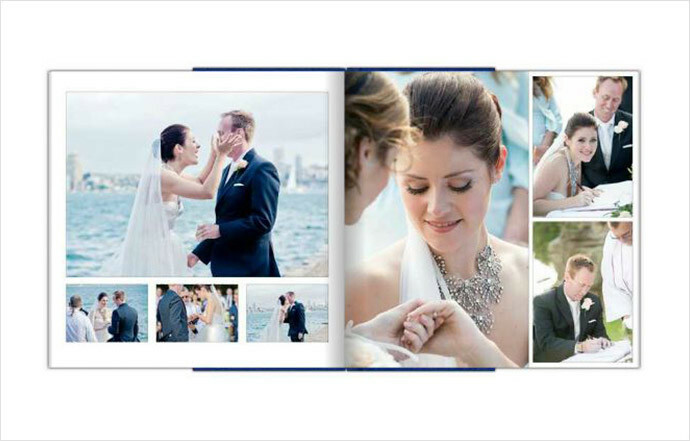 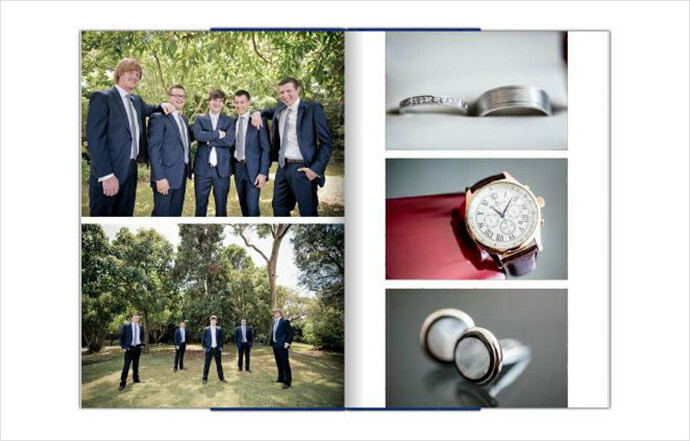 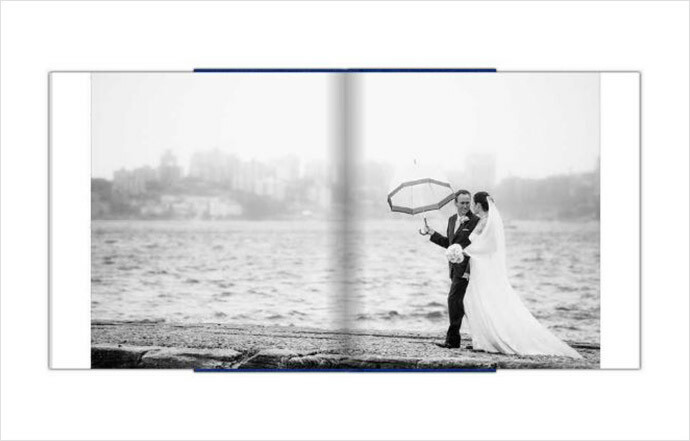 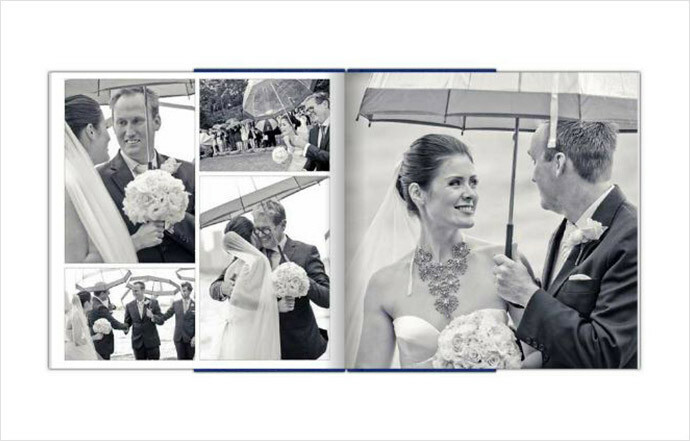 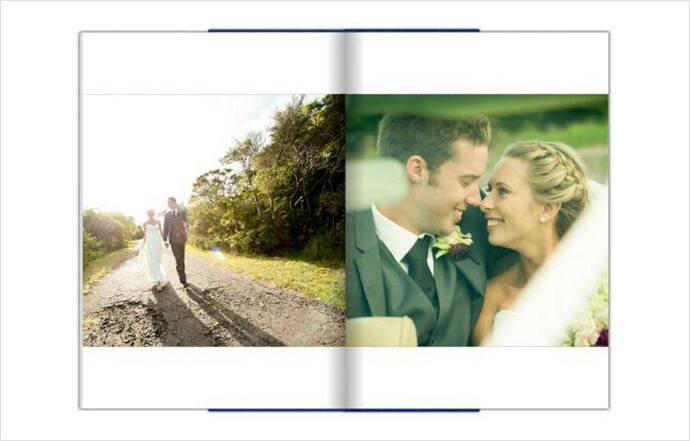 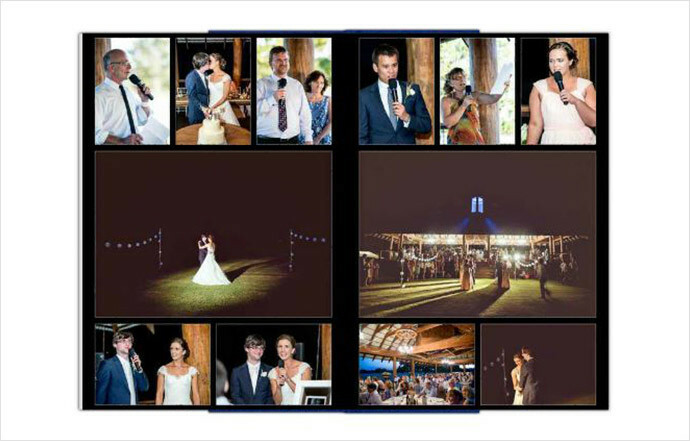 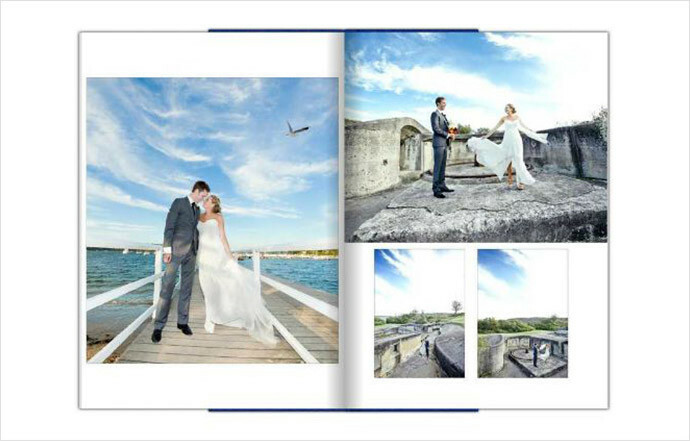 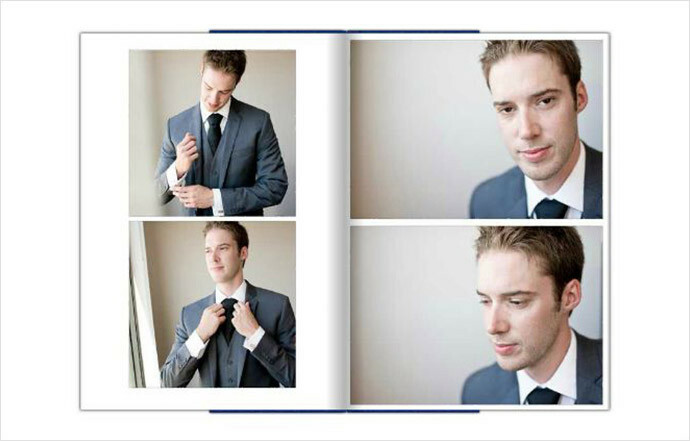 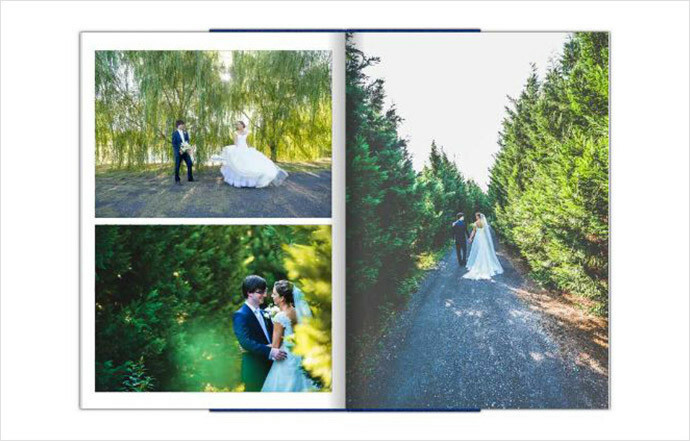 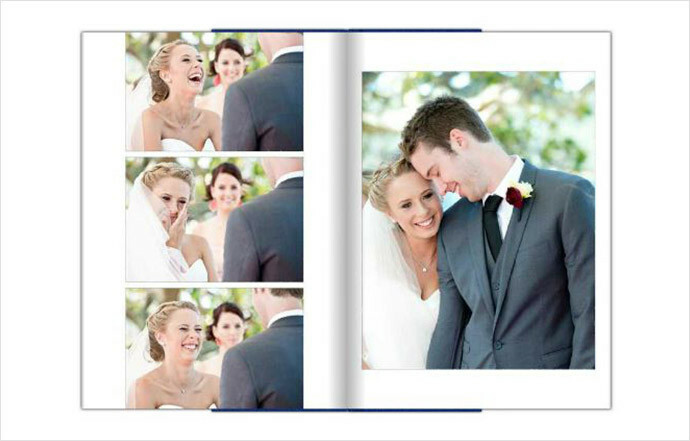 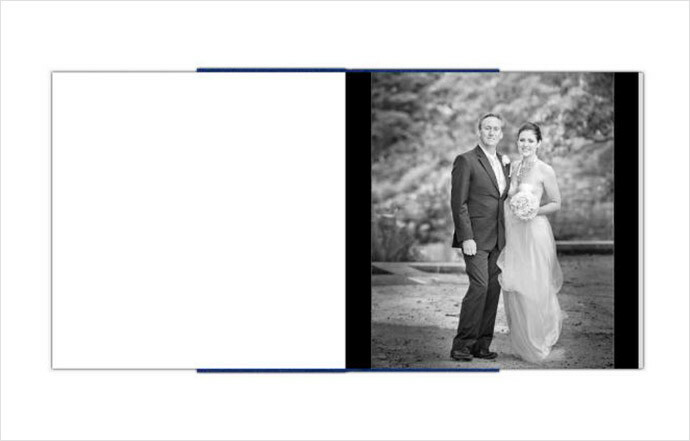 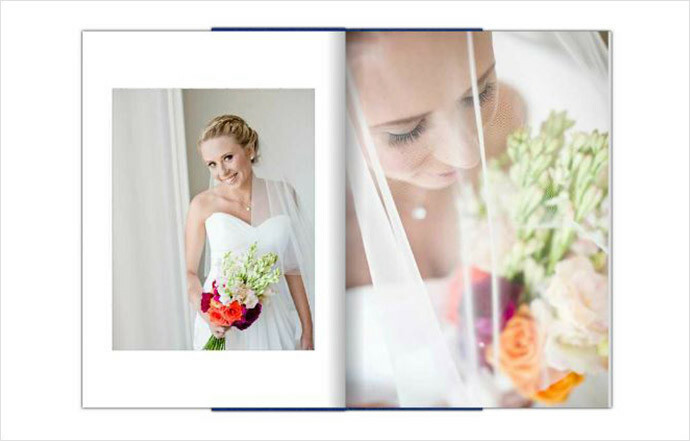 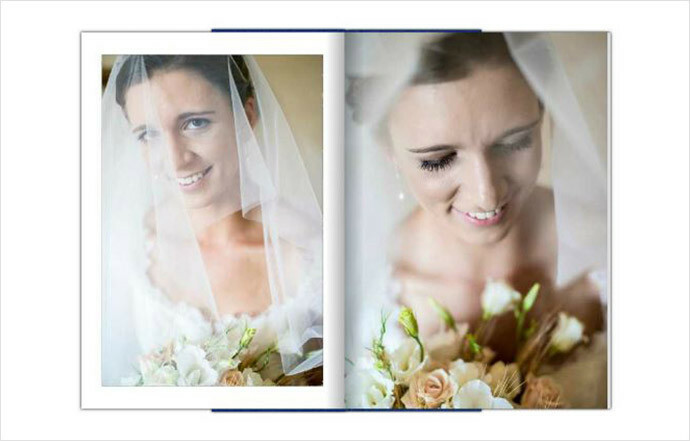 In these examples you will find simple layouts with large photos and uncluttered pages. 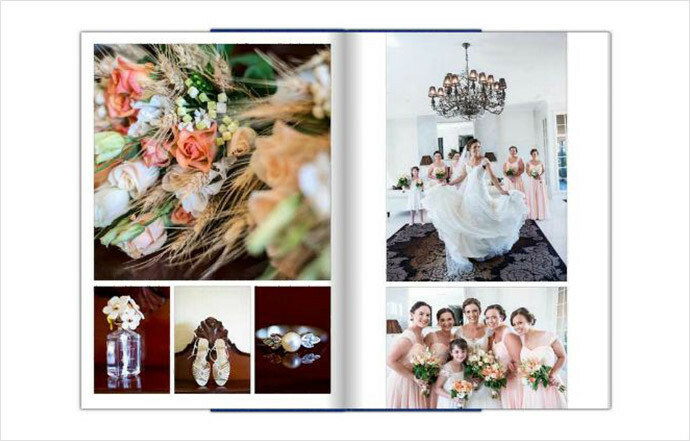 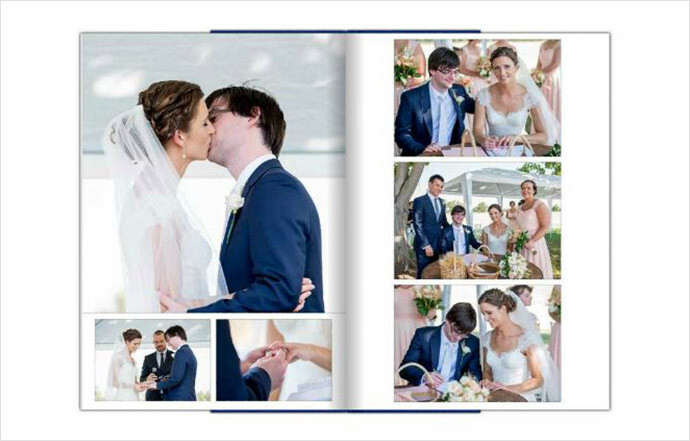 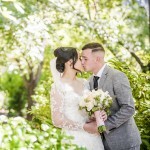 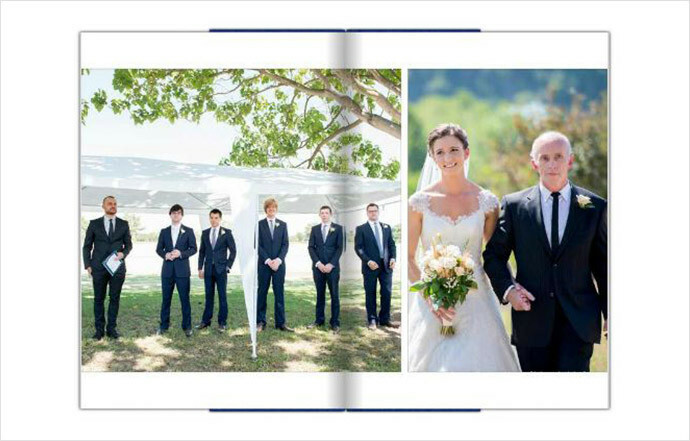 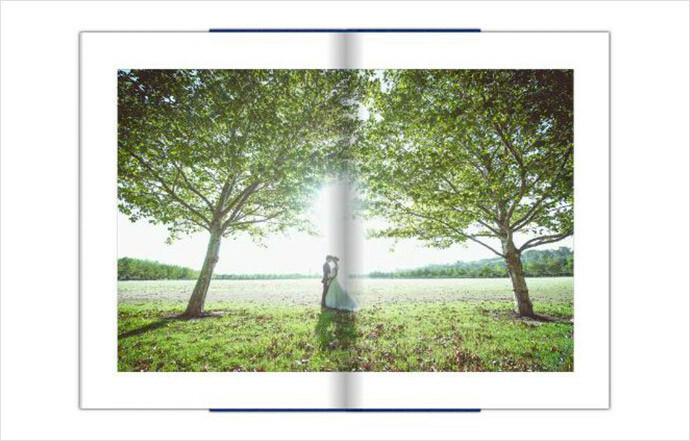 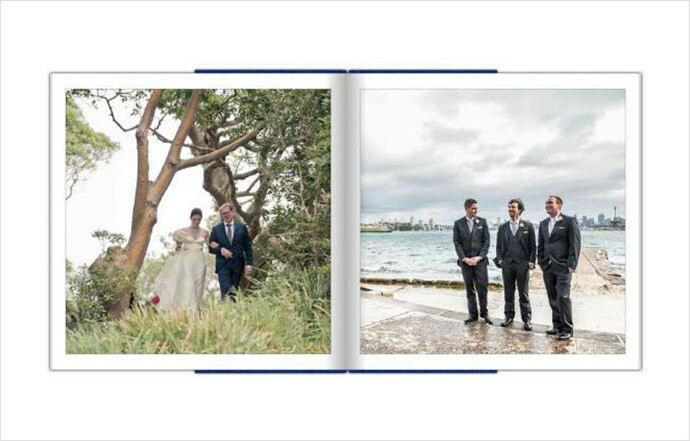 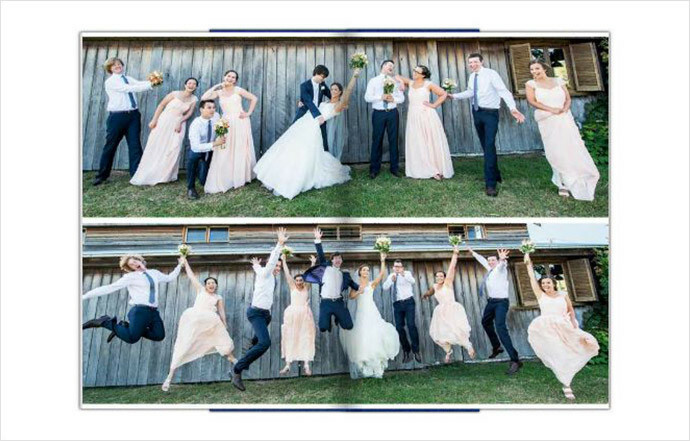 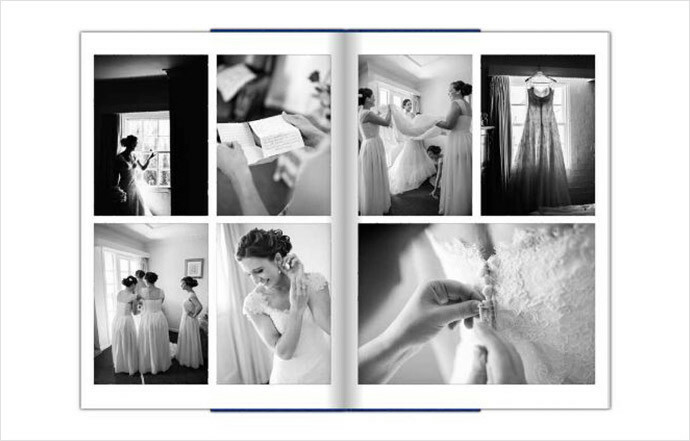 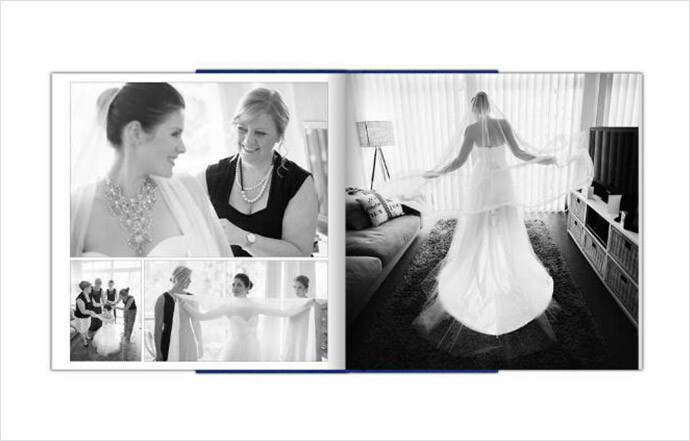 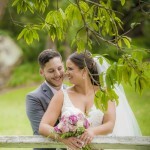 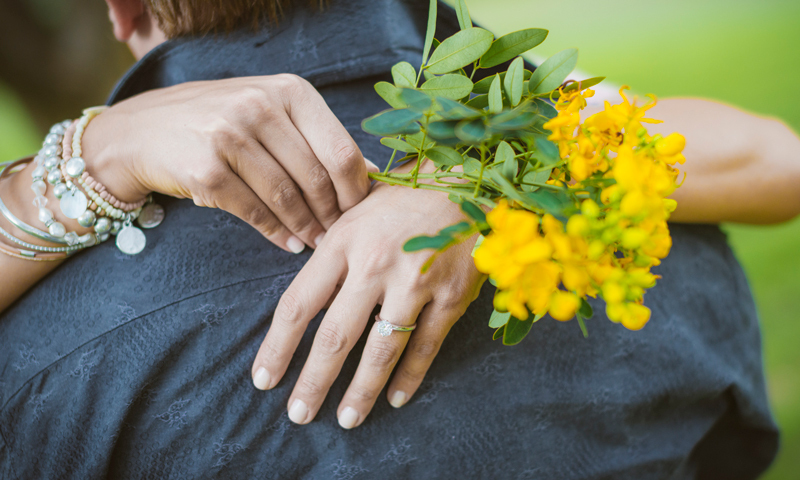 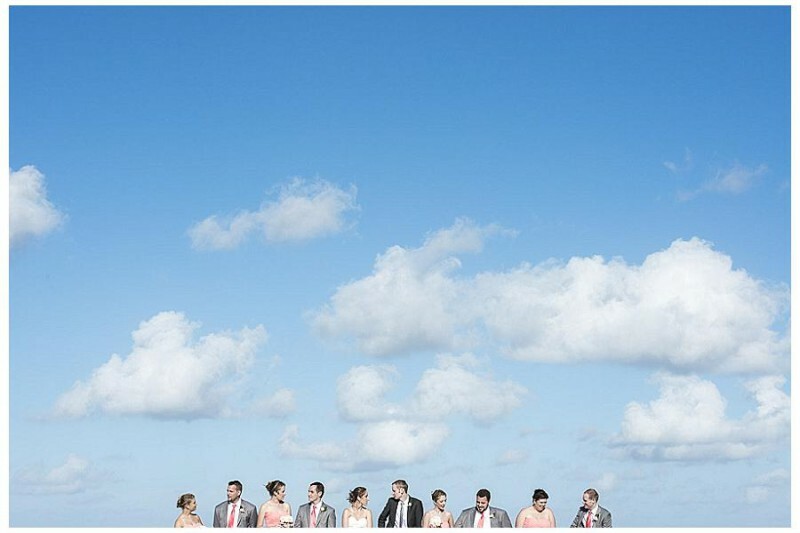 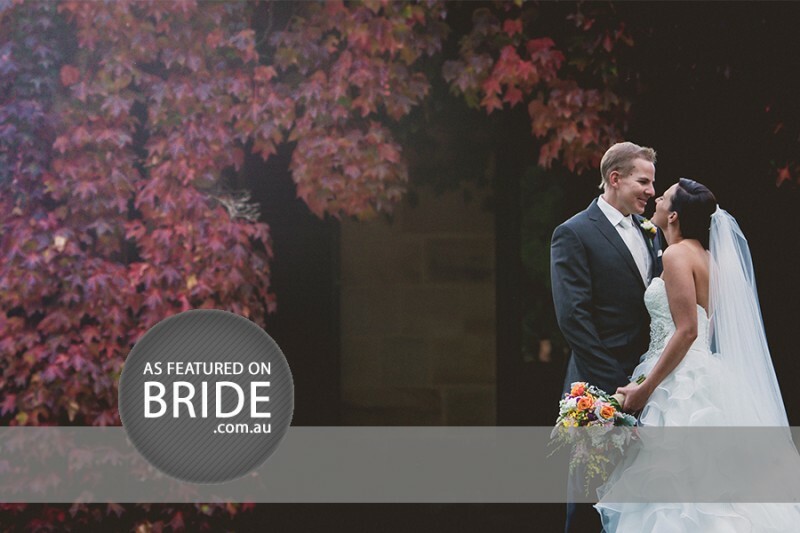 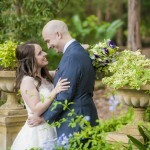 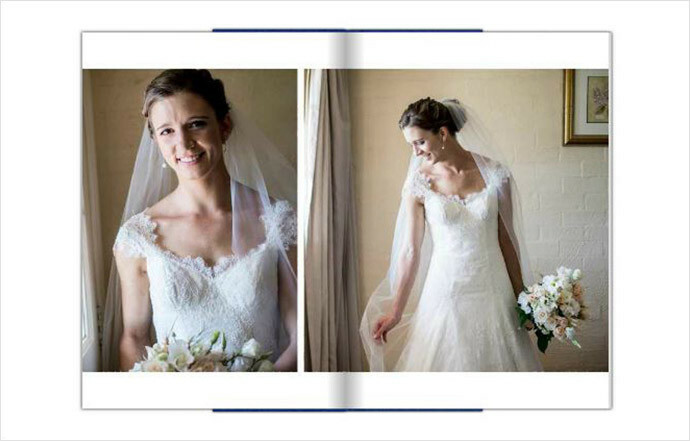 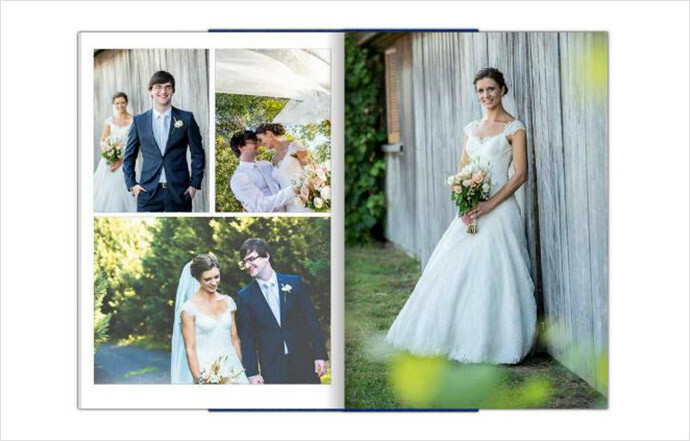 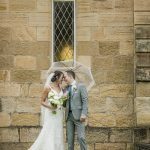 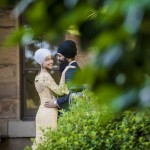 As you flip through, a storyline presents itself and highlights the important elements of each wedding day, from family heirlooms to key moments like the first kiss or the antics of the boys getting ready. 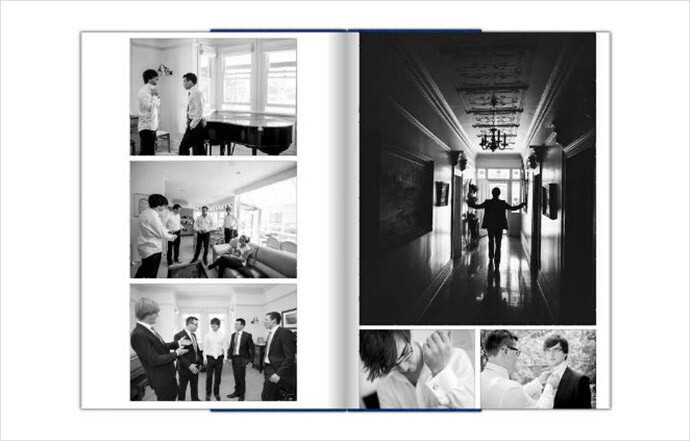 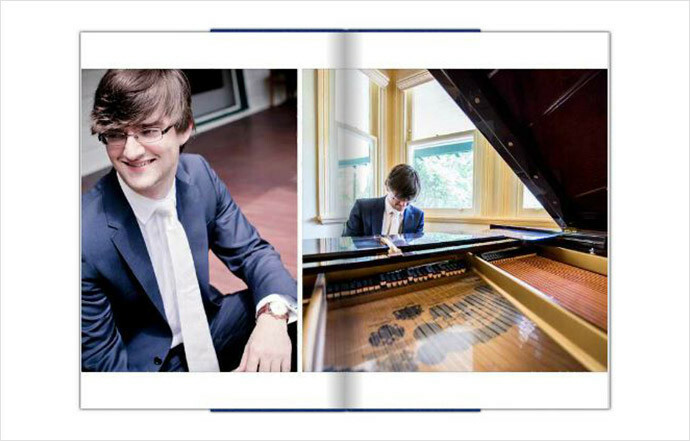 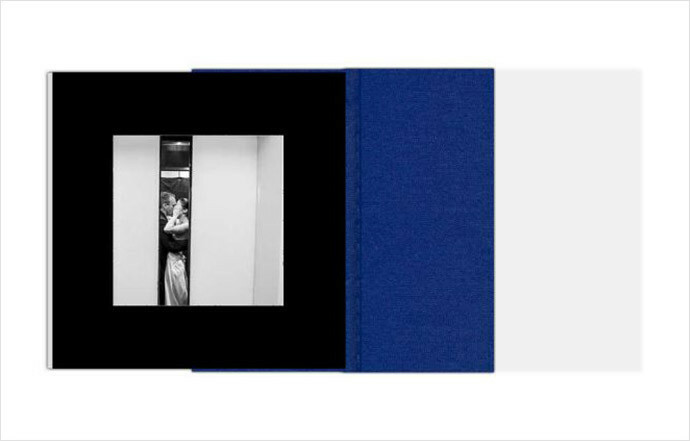 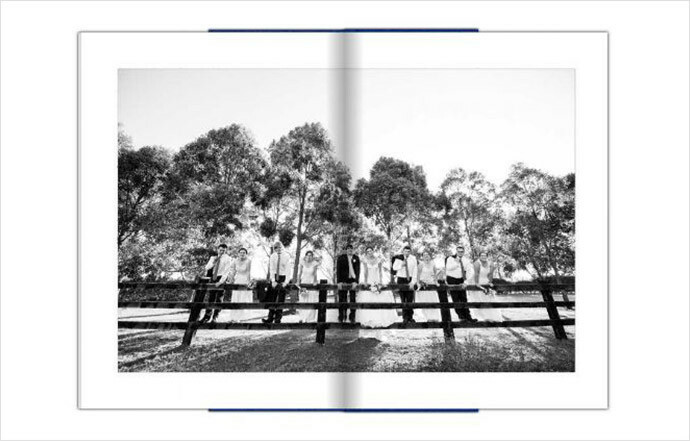 The ideal album is filled with character and grandeur, and comes from having a combination of candid moments and grand images that deserve a full double-page spread.